With the massive resurgence of Star Wars and the wonderful world of Disney INfinity there are no shortage of leaks and new information arriving daily as we inch towards the fall release of 3.0. This time, it's reported that the same retailer that leaked the base set for Disney INfinity 3.0- and they've leaked the names of 4 more characters that will be playable. The 4 characters named are all from the television show Star Wars Rebels. 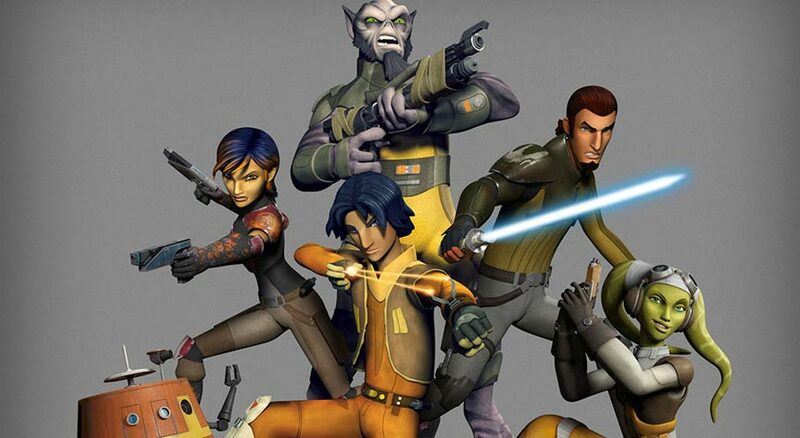 It's said that Ezra Bridger, Kanan Jarrus, Zeb Orrelios, and Sabine Wren will all be individually listed as purchasable. It makes sense, but I find it odd that both Hera Syndulla and her cantankerous astromech C1-10P droid ("Chopper") are missing. Which further makes me wonder if there may be an older Ahsoka Tano costume Power Disc. Anyways, it shouldn't really be a surprise to anyone that the Rebels characters would be added with the show being so popular. So far we know the Playsets that are listed are Star Wars: Twilight of the Republic, Rise Against the Empire, and The Force Awakens. One set for each of the trilogies. So presumably the Rebels characters will be playable in at least the Twilight set. Disney Infinity 3.0 is rumored to be released on August 15th.